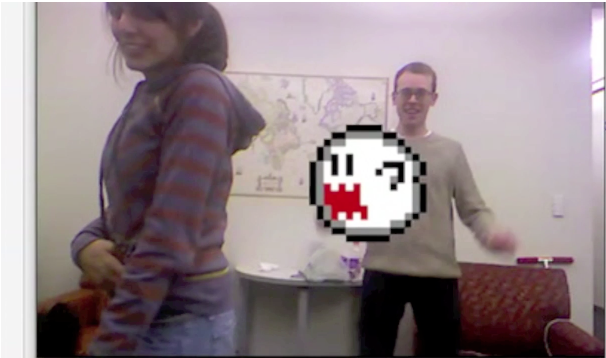 Over the course of about two weeks, Nisha Kurani, John Horstman, and their fellow students in Carnegie Mellon's Special Topics in Interactive Art & Computational Design course hacked Microsoft Kinect cameras. Not for fun, mind you, but for class credit. We've seen lots (and lots, and lots) of Kinect hacks in recent months, but this is the first time we've heard of Kinect hacking as a class assignment. Instead of bookwork or more traditional class projects, Nisha and John's professor--Golan Levin--and teaching assistant Dan Wilcox handed out Kinects to teams of their students to, as Nisha put it, "to push the limits of our creativity while exploring the many uses of its depth-camera." The students had roughly two weeks to complete their projects. According to the video's description, Nisha and John used the openFrameworks programming toolkit, along with the ofxKinect and ofxOpenNI add-ons, to complete the hack. We previously covered another project for this class--a hack that effectively turns any video feed into a fight scene that looks like it came straight out of the 1960s Batman TV series. If you want to learn more about Nisha and John's hack--or grab the source code and try it for yourself--hit up their project information page. And visit GolanCourses.net for information on this particular class. If GeekTech put on classes, we could only hope that they'd be half as cool as this one. Nick Mediati is PCWorld's resident security/OS/browser nerd, and oversees the GeekTech blog.